Big hair, petit body and a huge voice - We are bringing Diva back! Imagine a filled 1920's jazz club... Mahagoni furniture with velvet cushions and brass details. Champagne towers are filled in the sparkling light of the women's jewellery and huge chandeliers. Couples are dancing everywhere and a smooth jazz rhythm controls the mood of the room, accompanied by an amazingly alluring vocal! Many couples dream about the perfect vintage wedding, and while the location can be quite easy to find and decorate, the music can be more difficult. Yes bands playing jazz, blues, soul ect. are easy to find, but the authentic diva-artist is a rare species! But we have found her. Gorgeous as few and with a voice like no one else, Joanita is the talk of the town! Joanita was born in 1982 and has roots in Uganda and a Christian background. She specializes in Gospel and Soul, but her versitility is astounding. In person she is sweet and humble, but when she enters the stage, she tranforms into a pleasingly perfect vintage diva! She truly shines through and would make any vintage wedding a straight home run! The 25-27 of November we have the pleasure of hosting an amazing trunk show for the Israelian wedding dress designer Nurit Hen! Nurit Hen creates romantic and sensual high quality couture wedding dresses! Maximum detail work, laces and beading are a trade mark for this luxury brand. At the trunk show you will be able to try on the dresses from Nurit Hens Royal Couture Collection. To attend the event you must book an appointment, and make sure you do, because it will be fabulous. You can book an appointment by telefone at +45 4021511. We will be looking forward to your call! Mostly an American tradition, vow renewals are spreading to the continent of Europa. Loving couples who have been married for some years are embrasing this foreign tradition, as a means to celebrate their love to each other one more time. And why not? Is love not the most important thing to celebrate? Then why only do it once? In February 2016 at the Gulfood fair in Dubai, an absolutely delicious new food trend was presented for the first time. At trend so new that it still is unnamed!! For the time being let's call it the lollipop hour d'oeuvres. Aesthetically pleasing with flavours that just spoiles your taste buds while being easy finger foods, this is truly the perfect all in one wedding reception option! At a first glance they look like small sweet popsicles. With the expectancy of a hard and cold surface and a sweet taste, I was truly over thrown when met whit an all smooth and melting texture. The cheese and salmon one I tried first was like nothing I have ever tasted. While knowing exactly what salmon and cheese are supposed to taste and feel like, this experience cought me of guarde! Both tastes were recognizable but they seemed way more intense because of the new way they were represented - and I was sold. The foie gras to come just made me an addict! I had the privilege to taste five amazing and very different flavours, each unique in their on way. All products are made with the best ingrediences, and with a huge respect to the art of cooking! Unfortunatly I can not provide a taste sample, but let me try and fulfill your longing by pictures and discriptions! If you want a taste the only Danish provider I have found is http://www.cantinamaria.dk. Frank will be delighted to help you. Lollipop with Manchego Cheese and Salmon. The Manchego is a D.O.P and fresh. The Salmon is a Norwegian first class Salmon. This is called a priruletas with Manchego Cheese and blue berry. In an earlier blog post I have already challenged the thought that a wedding dress is supposed to be white! At the NY Bridal Fashion Week in April designer Naeem Khan showed a wide variety of colored wedding gowns. The colorful bridal decor trend has flourished, and now we can add a new trend to this lovely wedding spectre - the airbrushed wedding dress! When the artist Taylor Ann got married this summer, it was in a one of a kind artwork of a dress. Bought in a regular wedding dress shop she had taken this gorgeous but quite regular wedding dress and airbrushed it with bright colors. By that she created a very original and brand new wedding dress look. At the first glans you might think dip died - it is not! You can learn more about how to airbrush a wedding dress here. The reason why I personally admire this bold choice so much, is that she used the colors in her dress as a guide line to the general wedding theme and decor. 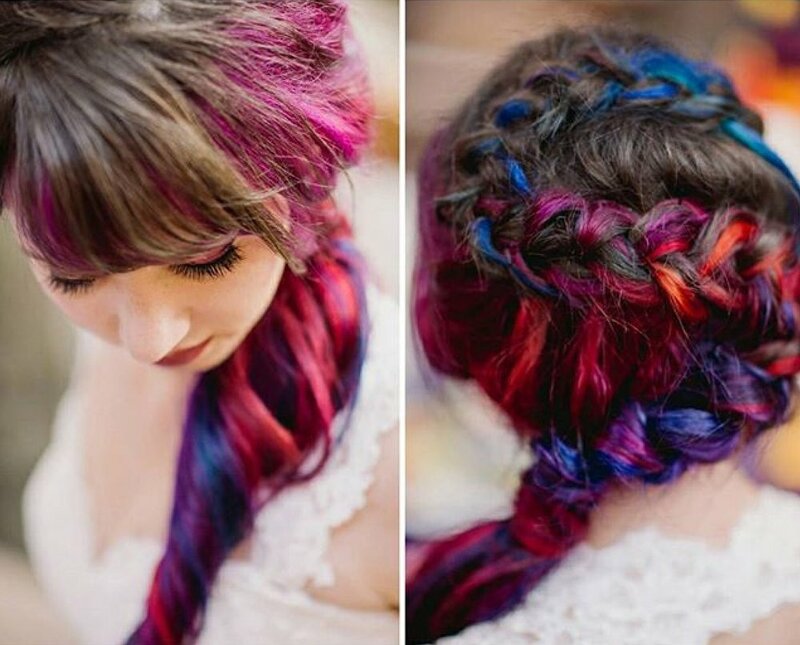 Even her hair was in the color scheme, and I simply love that! And then she topped it off with a pair of big boots - at a forest wedding - ingenious!!! A wide palette of colors was used, and still nothing seamed uncoordinated or messy! Off cause it goes without saying that this is not for everybody, but for the brave, untraditional and colorful bride this might just be the solution. For more information and inspiration you can always check the two links below! Long sleaves and a high neckline - this is what many tattooed brides are looking for. Normally proud of their beautiful art work, as brides they want to hide it, before walking down the aisle. Here strong willed and stylish women tend to bow for the common consensus idea of how a bride looks. And a bride does not have visible tattoos!!!! We are here to end this narrow minded idea of the bridal look, and give you some inspiration on, how you can bring together your tattoos and your inner bride. Tattoos can be both romantic, feminine and very bridal like. If styled in the right way, your tattoos can be the foundation of you whole bridal look instead of the liability you would like to hide. 1) First of all find a dress that compliments your tattoos. They are there, so they need to be incorporated into the look. Does this mean that you are more bound than a non tattooed bride? Both yes and no. As to the style of the dress you are not, but some dresses might look strange or incomplete on you if only half a tattoo is showing. One way to solve this problem is by laces. By wearing a laced dress you can both show off and cover your amazing body art work. Instead of hiding the tattoos, the white colour of the dress and the see-through laces are highlighting the coloured details of this brides beautiful tattoos. Another excellent wedding dress solution is the bare dress. By this I mean a dress that is strategically bare, in order to probably show off the tattoos. This one shouldered beauty gives free played to this gorgeous bride tattoos. No point in hiding anything! I simply love this photo! A classic and elegant wedding dress parred with a romantic black and white flower tattoo, and the topping it with some hot red lips 😘👏🏻 This tattoed is wored as a jewel! 2) Our second good advice is to coordinator your accessories with your tattoo. Whether it is the colors or the style of tattoo, accessories is a good way to connect the bridal look with the tattoo. You will find that a lot of jewelry often is a bad idea! This lovely vintage looking bride, matching her wide variety of tattoos with a 20's inspired wedding dress is just to die for! Not wearing any jewellery is a wise chooise! The vast detail work of the dress and the many tattoos are a perfect balance. Just enough and not too much! 3) The third and final tip has to do with contrasts. The pureness of the white dress and the rawness of the tattoos is an example of how opposites can compliment each other perfect. If you play with the given contrasts you will see, that instead of creating a messy and devided look, they will bring out the best of the two worlds and combined them in one amazing bridal look! In the end the essence is that it can be more difficult to create the perfect bridal look, when you are tattooed, but if you remember to use and show of your art work, then you are already one step ahead of the untattooed brides when it comes to the unique and personal bridal style! Are you the perfect wedding guest? Nobody is flawless and flewlessness is not expected, but there is no reason not to strive for perfection! Most of us know how to conduct ourselves in a normal day to day setting, and being a good wedding guest simply comes down to manners. How well behaved are you? We truly think the world of our guests, but a little list of helpful guidelines never goes un handy. RSVP as soon as possible, and most important NEVER after the given responds date. The way to respond is often written in the invitation. Today it is often by phone. When calling make sure that you reach the correct person, and by all means never leave you answer on the answering machine or write them a text! Whether the RSVP is to the host or an second person, make sure to given the person your gratitude. If the RSVP is not given to the host, still make sure to thank them right away for including you in their celebrations. Originaly the polite way to RSVP was in the same manner the invitation was given. If by phone one could RSVP by phone, if by letter the responds should be given by letter. This practice is almost gone but personally I still RSVP by letter on a written invitation. It is just so romantic and different to receive a letter instead of a phone call. If you would like to impress and do something special for the host, then try RSVPing by a hand written letter. My last comment on this subject is very important! If it is only your name in the invitation, then only you are invited! It sounds simple, but unfortunately it is not for everybody. Plus one is only if mentioned, and you cannot expect your brand new boyfriend to be invited, and you can certainly not ask for it. The same thing goes for children. If they are not on the invitation, then they are not invited. This goes for almost all children, except infants. They are so pedended on their mother, that the hosting couple would expect it to be present, when inviting the parents. But when it comes to weddings you should expect it to be children free, unless is says otherwise on the invitation. This is quit easy. Stick to the registered gift list, and if you think you have spotted the holy grail of wedding gifts and it is not on the list, then make sure it can be returned for a full refund. As for the budget, it is up to you, but wedding gift attends to have a higher budget than other celebratory gifts. The dress code is often written in the invitation, which makes it easy to follow, but if you are in doubt then ask. There is however one very important rule for women, and it is indisputable! DO NOT wear white. And by white I mean any types of white - off white, cream, eggshell ect. Sometimes even very light gray is to bold. If there is any chance it can be mistaken for white in pictures or at a distance then it is a no go. This is a matter of better safe than sorry. But you can be partial white. A good rule to follow is that a maximum of 50 % of your in tire outfit can be white. If you for example are wearing a flowered dress with a white background then at least 50% of the dress should then be covered in coloured flower print. By many it is also considered ill mannered for women to wear black. I to do not find black appropriate, but is is not as big a problem as white. But if you can leave the black dress in the closet then it would be preferable. If you need some inspiration for the perfect wedding guest outfit then check this out. As for he gentlemen the dress code is quit simple. Do not overdress the groom or the nearest family, and do not wear smoking before 5 pm. Often there is time between the ceromony and dinner, were you can change you outfit into fx long dress and smoking. 5. At the table introduce yourself to everybody at your table. For next many hours you are supposed to talk and have fun with these selected guest who shares your table. To secure a good beginning make sure to introduce yourself to each person, and try to remember their names. There is a reason the host placed you with these people - you must have something in common. Make it you business to add to a great and festive atmosphere by being dedicated to you table. It is not an easy job being the toastmaster. The pressure is huge and the deadline short. Try you at most to help the toastmaster by listening to his or hers instructions. This means being quiet during information and toasts, and most of all respect the time line or pauses and toilet breaks. When the toastmaster announces a 10 minute break then check you watch and be back on time. Being back means being seated at the correct time. If a toastmaster needs to round up all guest at a wedding, telling them that it is time for a toast, it can be exhausting and it can spoiled the good mood. Help the toastmaster make everything run smooth. 7. Do not get to drunk during the dinner. You can always get as drunk as you want after dinner, but during you are expected to be social and delightful. Nobody want to be seated next to the way to drunk cousin. This goes for it self. You might not be the most outspoken or loud person in the crowd. Maybe these big weddings make you a bit uncomfortable and in the end more quiet than normal. Even though it can be difficult, please try and come out of you shell. The bride and groom placed you with some people they apparently thought you would click with - and most often they are wright. But you bare a huge part of the responsibility for making this happen. Be attended to the persons around you. Listen to the conversations and be interested. Ask open questions and look for some common ground. You might ask about how they know the bride and groom, where they are from, their work or their hobbies. This is a social event, so be as social as your nature alows you. The party is not there for you, you are there to have a party. The greatest fear of all newly weds is that their wedding party is going to flop. They (hopefully)will never be able to do this again, so they have to ace it the first time. But what if the guest do not like the food or the company? What if they do not like the music or do not dance? What if they are not having fun? As an attending guest it is your job to get the party started. Even though you are not the best dancer or do not like to dance, the good guest would still dance in order to get the party starting. Once the dance floor is full, you can always relax. But all good parties need a good kick off, and if everybody just sits down and start talking, it will never happen. The hosting couple provides the scenery, but it is up to the good guests to make the party happen for them. Be attentive and notice if the party is going on as is should. If not, help the couple reaching the wanted party level. Do not leave the party to early unless you have a REALLY good reason. Again it should be obvious, but it is not. You can never say thank you to many times at these sorts of events. Make sure to thank the bride and groom, by complimenting the food, wine, venue and the party. They need the confirmation. You must also show your gratitude towards the parents of the bride and groom, congratulating them on their children and saying thank you for a lovely party. Parents often pays for some or all of the wedding. You gratitude should as a minimum be showed after the ceremoni, after dinner before you turn in and the next day before you leave. Now how did you do? Are you the perfect wedding guest, or are there room for improvement? As I said in the start - nobody is perfect! The best advice I can give you is to have a nice time and show the couple that you are truly enjoying yourself. Such a small thing, with such a huge impact! Eventhough it might seems unimportant, nails are not to be overlooked. They bring your hole look together, and are almost always noticed. Beautiful and healthy nails sends out a signal of surplus energy and personal control. This is true for women in general, and for brides in particular. Think about it - can you think of any other day, than you wedding day, where your hands will be the center of attention, be admired and be photographed more than this day? When you receive an invitation for a wedding, one of the questions that pops up is always "WHAT TO WEAR?". It is easy to find the perfect outfit, but when it comes to the perfect affordable outfit the task is a lot more difficult. Weddings are expensive - not only for the couple to be married, but also for the guests. So finding the perfect dress at the perfect price is the dream goal! But not to worry, we did the job for you! We have searched the Internet, and have gathered 20 amazing and wedding appropiate outfits. NB: All prices are in Dkk, and all prices are under 1000Dkk, 113 £ and 134 €. Details are so important if you would like your wedding to stand out. There are so many aspects one can consumplate in the search of the perfect personal wedding. One of these is the table setting! 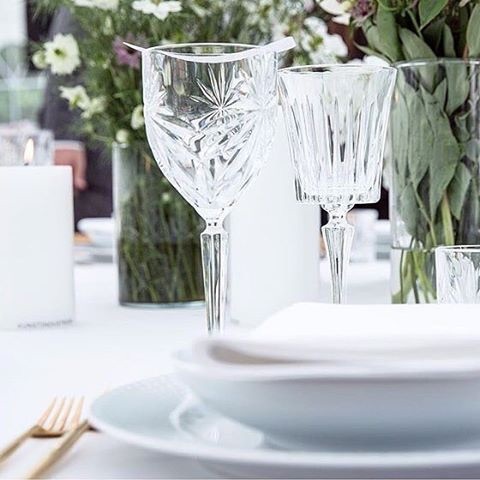 Most wedding venues provide a beautiful table setting, but it is still only classic and neutral. However it does not take much to turn this classic and a bit boring table setting into a personal wow factor at your wedding. It may seam as an unimportant expense, but it is truly worth the money! Trust me - your guest will notice and delight! You can go all in and get new glasses, cutlery, plates, ect., or you could simply exchange one of the wine glasses with a colored glass, creating a hole new table setting look. This is also a cool and easy way to back up a wedding theme and make your special day thorough! All the pictures below comes from A Table Story, which is one of our amazing vendors. We simply love their style! 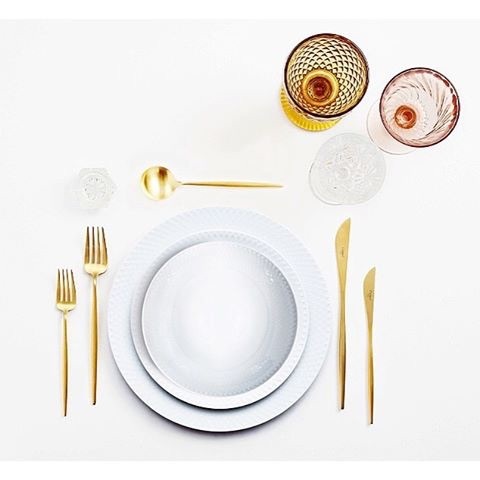 They have inspiration and great table setting ideas for everyone, and best of all - it is not expensive! So just let your creative wedding ideas loose and be inspired! One of the things I love most about Copenhagen is it's authentic feeling. Narrow cobblestone streets surrounded by old buildings with beautiful details. This is truly a time warp creating the unique atmosphere that is Copenhagen. In one of these streets close to The Kings Garden and Rosenborg Castle we found a shop that reeks the essence of the Copenhagen feeling. The interior design is kept in a douch coler scheme, with chandeliers, soft pillows and rustic furnishing, providing the cozy feeling that is "hygge". As the outline is soft and sweet, so is the product of this shop - delicious and cute cupcakes of all sorts of colors and flavours are presented behind the counter. There is a cupcake for every persons. Neetly decorated with a steady hand they just look so yummy! 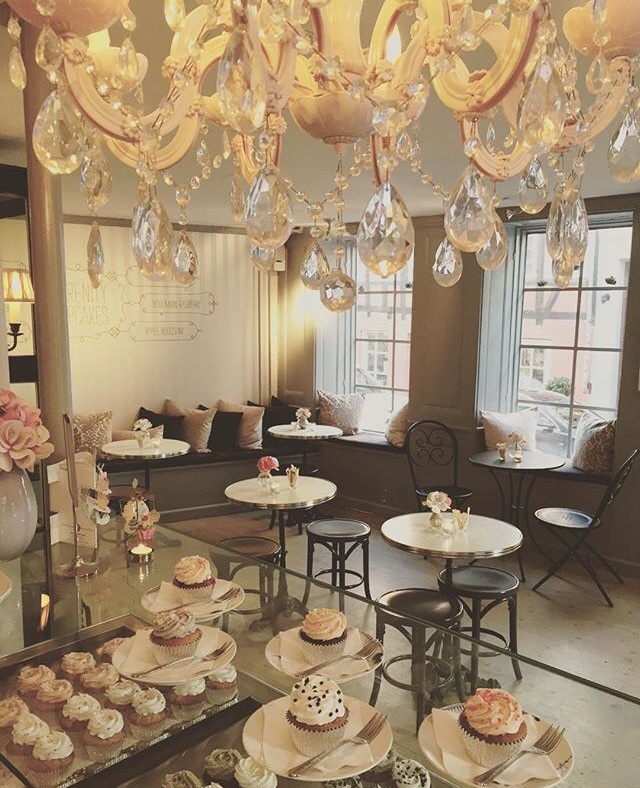 The name of this heavenly place is Serenity Cupcakes, and it was founded in 2011 by the present owner Mariam Mistry. Mariam bakes all the cupcakes herself. Starting early in the morning, so that the newly baked cupcakes are ready for sale in the afternoon. This respect for and striving after quality and a high end product, is was has given Mariam so much success. Every aspekt of her business is the best of the best, from the ingridiences used for the cupcakes to the Royal Copenhagen china the cupcakes are served on. The the is from the recognized the house Perch's and the coffee comes from Amokka. Her sense of style is also why we at The Wedding Company recommend her. As cupcakes for weddings are very trendy and highly short after, it was important for us to find the absolute best cupcake provider we could. The finish, quality and taste was extreamly important, but also the flexibility and professionalism of Mariam was noticed. She will without a doubt be able to make you the dream cupcakes for your wedding reception. 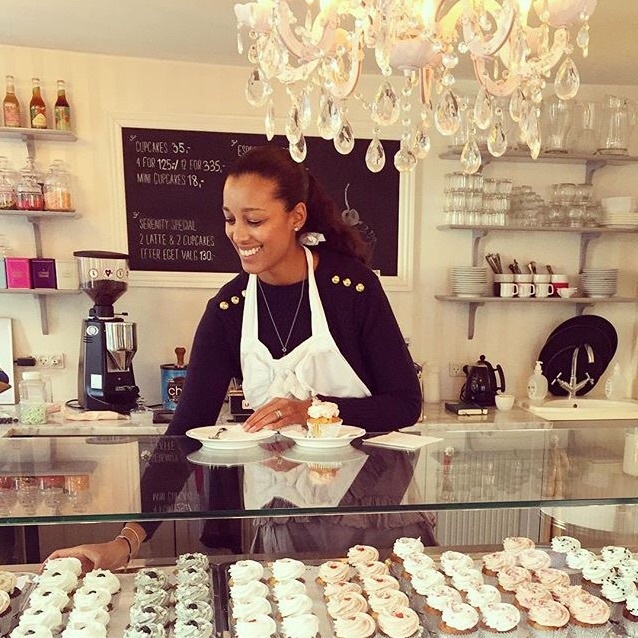 Whether you would like a special flavour, a personalized sign on top of the cupcake or an entire cupcake tower, she will be able to help you reach your cupcake goal. Did I mention that she does also provide frosting classes for the bachelorette party? Well she does! Custom made signs - What should it say on your sign? Cosy and the essence of the danish "hygge".